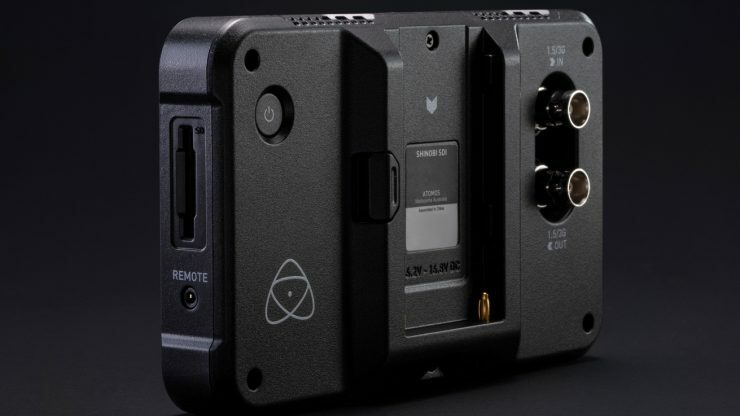 Atomos have just announced the Shinobi SDI, which as its name suggests, is an SDI version of the original Shinobi that was just launched last month. For years customers have been hounding Atomos to make a monitor without a recorder. Well, last month they released the Shinobi, a 5″ HDMI that costs $399US. 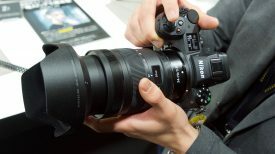 That was great for Vloggers and users of mirrorless, DSLR and other cameras that only have HDMI outputs, but what about for the rest of us? For those wanting a small, portable SDI capable monitor Atomos gives us the Shinobi SDI. 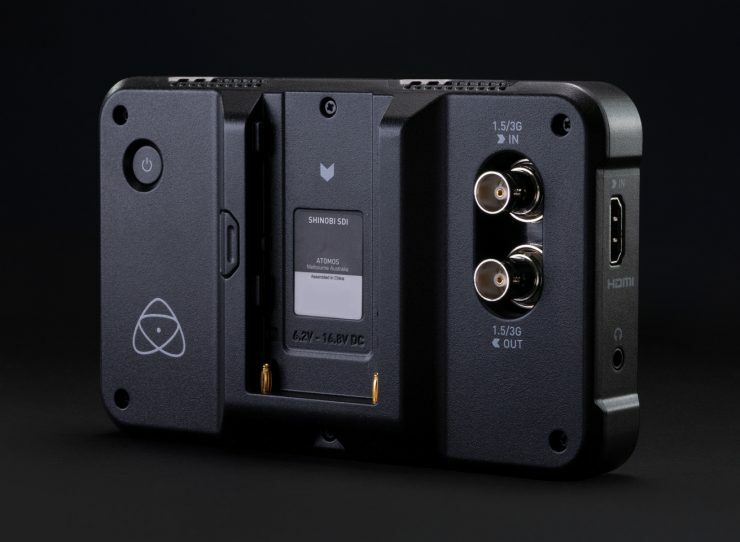 I personally think Atomos should have released both the SDI and HDMI versions at the same time or at least told potential customers an SDI version was coming. There is bound to be a lot of upset customers who already bought an HDMI Shinobi who would have been happy to have paid $100 more for a version with both SDI and HDMI. Unlike the Shinobi HDMI, the Shinobi SDI is aimed at, well, people like me. Professional shooters who are looking for a lightweight, reasonably bright, good quality onboard monitor that is doesn’t cost a fortune. I mainly use the SmallHD 502 Full HD as an onboard monitor with my ARRI Amira. While I have been reasonably happy with it, it’s only 400nits and not useable outdoors in sunny conditions. It also cost me a little over a $1000USD when I bought it several years ago. I know SmallHD also has the much brighter (1000nit) 502 Bright, but that wasn’t available when I purchased my 502. That monitor also costs $1299 USD. When I reviewed the Atomos Ninja V I really liked the screen, and in a head-to-head comparison against the SmallHD 502 Full HD On-Camera Monitor it looked a lot better. The problem was, I didn’t need the recorder part of the Ninja V, all I wanted was a monitor. I couldn’t use the Ninja V or the Shinobi on my Amira as my camera doesn’t have an HDMI output. The Shinobi SDI appears to be a good option for what I am looking for, but in saying that, I haven’t been able to compare it do any of the new SmallHD monitors. 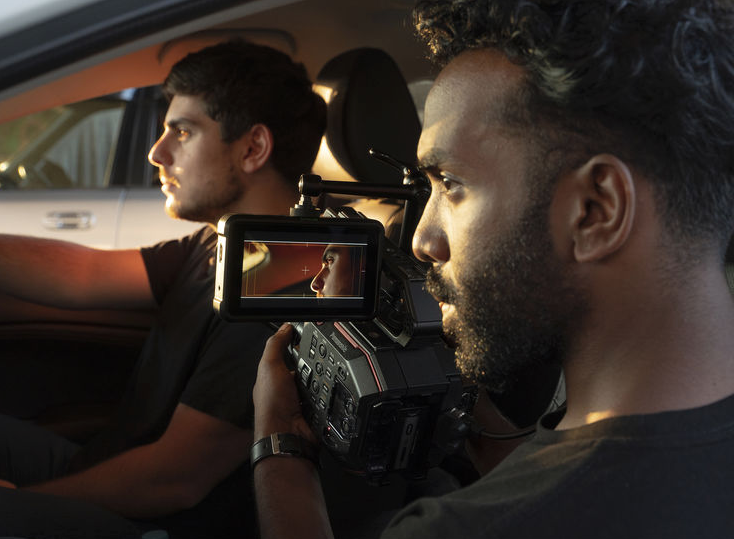 As I just mentioned it probably makes the most sense to use it as a onboard camera monitor, but you could also use it as a defacto EVF or even as a lightweight directors monitor. 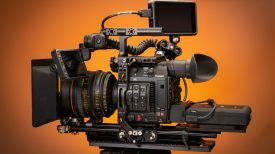 What I mean by defecto EVF, is that if you have a camera such as the Panasonic EVA1 or Canon C300 Mark II, you could put the Shinobi SDI out on an arm in front of the camera and use it instead of the factory LCD. As the Shinobi SDI is so light, this would be relatively easy to do. Would I do this myself? No, but some people may use it for that purpose. So what are the differences? Well, there aren’t many. Ports and about 20g! Both models of the Shinobi feature the same 5.2” 1000nit anti-reflection uni-touch IPS panel with the resolution of full HD 1920 x 1080 /427ppi. The Shinobi SDI has both an SDI In and an SDI Out , as well as an HDMI In. Both monitors are capable of receiving a 4K signal and displaying it in full HD through the HDMI input. Unfortunately, neither the Shinobi or Shinobi SDI, comes with an HDMI out. It’s important to note that Shinobi SDI’s SDI input is only 3G SDI so it will only support HD signals. It won’t except 6G or 12G SDI signals. To keep the weight and cost down both monitor use the exact same Polycarbonate ABS construction as opposed to aluminum like the Ninja V.
The Shinobi SDI is only around 20g heavier than the Shinobi HDMI. On the left side are an HDMI 1.4 input and a 3.5mm headphone jack. On the back of the monitor are the SDI In/Out ports. On the right side of the Shinobi SDI is an SD Card slot to load LUTS. The Shinobi allows you to load up to eight custom LUTs at any time via the SD Card Slot. Under the SD Card slot is a wired remote terminal input. To keep the Shinobi SDI balanced on the camera the battery slot is located in the middle of the monitor. Without the need to power a recorder the Shinobi uses less power meaning longer run times. The monitor uses the Sony type NP-F battery. For mounting, the Shinobi SDI has a 1/4 20 on the top and bottom. The bottom tap doesn’t have the anit-twist ARRI accessory tap like the Ninja V.
While it is stated as a 10-bit panel it isn’t a true 10bit. It is an 8+2 FRC. This is more of a technicality as using the 8+2 FRC scheme delivers virtually no different than a true 10-bit display to the human eye. It’s a little secret sauce to get a 10-bit representation with an 8-bit panel. This isn’t new and has been incorporated with many other brand displays. A true 10-bit display is very expensive. The Shinobi SDI ships precalibrated to Rec.709 and can be recalibrated with an Xrite i1 Display Pro Calibrator and USB to Serial cable. 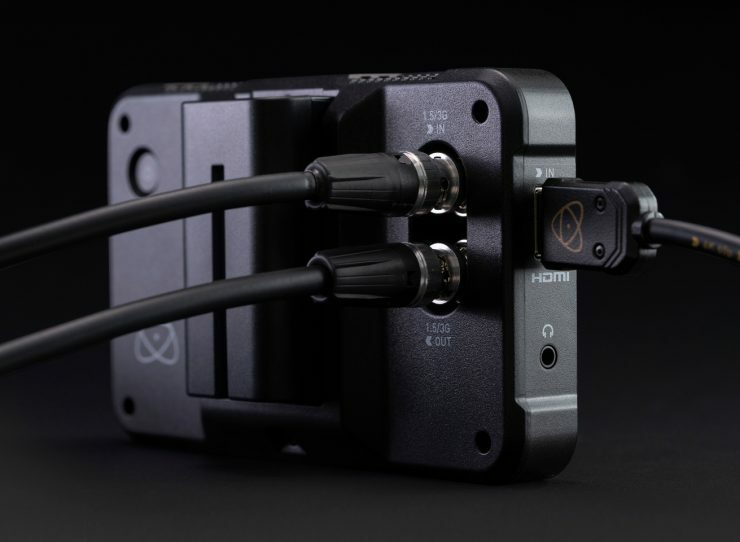 This is a plus as SmallHD requires a proprietary Xrite i1 Display Pro Calibrator. The Shinobi SDI’s screen is rated at 10+ stops of dynamic range from Log/PQ/HLG signals. Combined with Atomos HDR monitoring features, the Shinobi simplifies the complexities of shooting Log and HDR, helping you to replicate post-production workflows at the moment when it matters most. 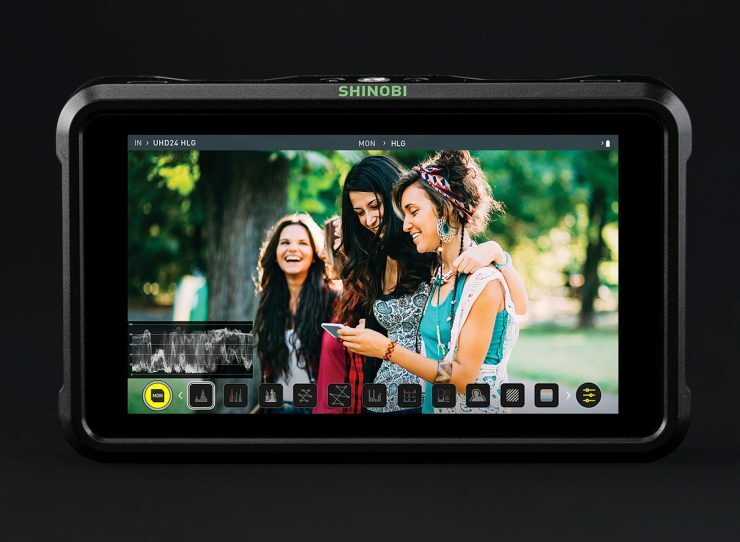 Shinobi has the AtomOS 10 platform and is packed with an extensive suite of scopes and one-touch operations. It’s nice to not have to tap more than once to get a tool to open. Atomos understand how important it is to see what you’re actually shooting at all times. With the new Analysis feature, you can now simultaneously see what you are shooting, view a waveform, histogram, and vectorscope, without the scopes covering the image. Apply and compare looks for post-production in SDR or HDR from your favorite LUTs for your camera or from your post team for consistency across shoots. The Shinobi allows you to load up to eight custom LUTs at any time via the SD Card Slot. At $US 499, the Atomos Shinobi SDI looks to be very competitively priced. 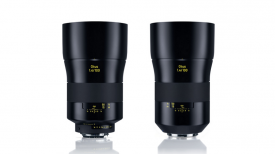 It is expected to start shipping in june according to Atomos. 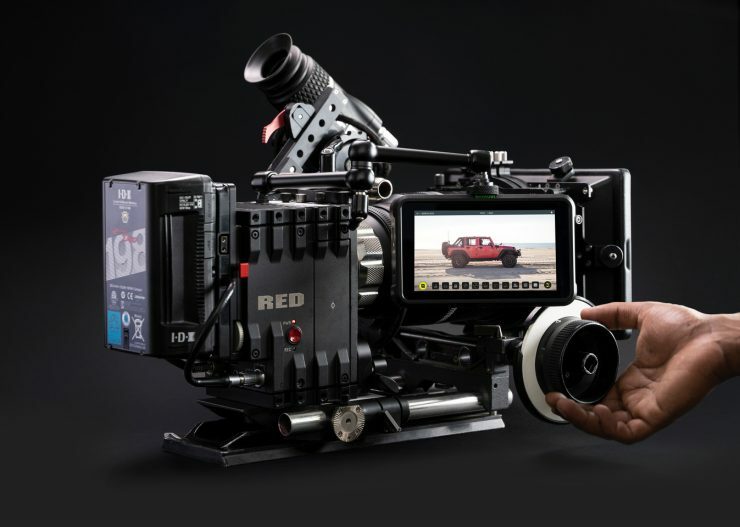 Its main competition looks to be the SmallHD FOCUS SDI which is also priced at $US499. 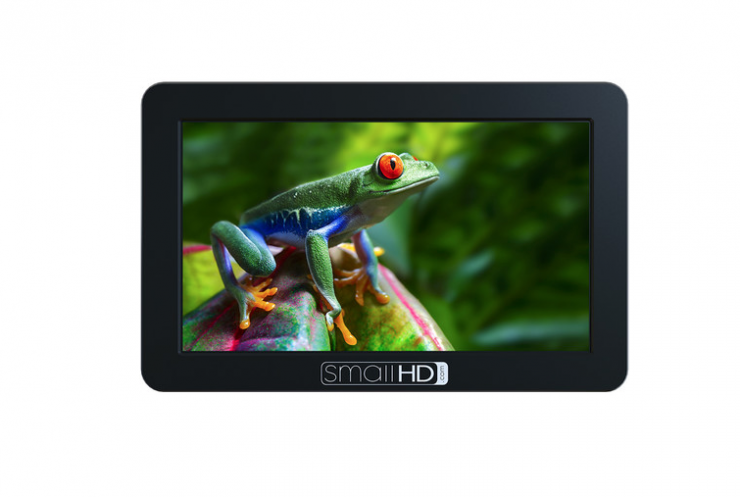 So what are the main differences between the Shinobi SDI and the SmallHD FOCUS SDI? Full HD monitors are becoming less expensive and pretty good as well but with the inexpensive or should I say cheap versions, the operating systems and the software are usually terrible. If all you need is a monitor then yes you can get a very inexpensive model but for me the tools and usability you get with a SmallHD or an Atomos can’t be beat.